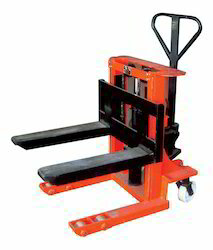 We are supplying "Pallet Hydraulic Truck". We manufacture, supply and export material handling equipment like Hydraulic Pallet Truck that is extensively used for easy handling of goods as it can take heavy loads from one side to another hassle free. 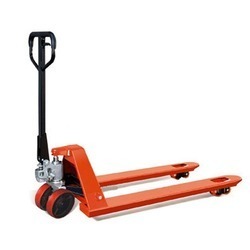 We manufacture, supply and export material handling equipment like Hydraulic Pallet Truck that is extensively used for easy handling of goods as it can move heavy loads from one side to another hassle free. Looking for Pallet Hydraulic Track ?